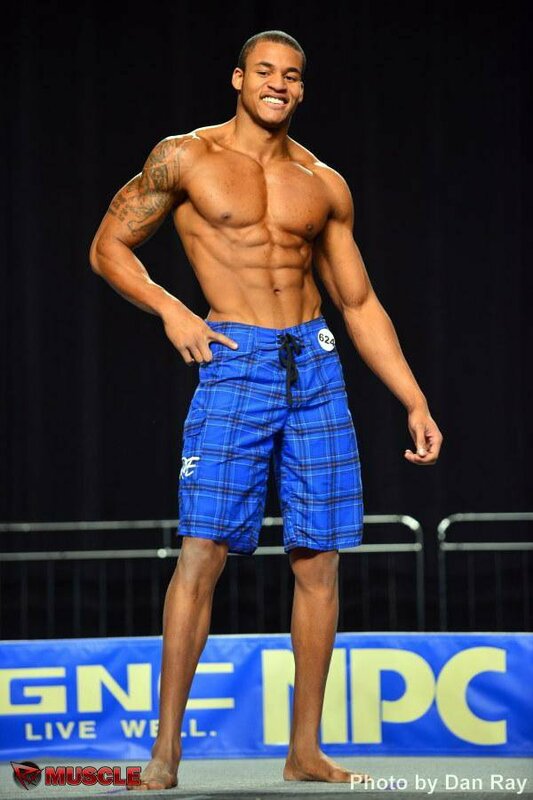 Amateur Bodybuilder Of The Week: Basketball Body Breakthrough! Adding muscle to Eugene's 6-foot-5 frame was a tall task. He tried several mass-gaining diets, but found that simple methods always prevail. This former baller won with consistency and hard work! Basketball was my specialty growing up. I played throughout high school, tore my ACL, MCL, and meniscus during my junior year in a dunking accident, healed my injuries, and played two years at the Division-III level. I weighed 170 pounds in high school and became the poster boy for tall, skinny, and awkward. That didn't change much during my first few years in college. I made every excuse not to lift despite previous coaches and others who said it would make me a better player. When I transferred to a new university, I started living the party life and reached a point where I was tired of drinking every night. I was tired of being tall, weak, and lanky, so I decided to make a change. I'm the type of person who likes a challenge and I quickly fell in love with the challenge to build a stronger, healthier me. 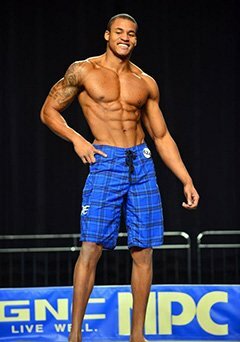 I got really serious about lifting and heard the NPC started a new men's physique division. It seemed like the perfect fit for me and I made a new goal to prepare for my first competition. After the first competition, I fell in love with the experience. I prefer a basic split that trains one body part per day so I can hit it as hard as possible. I love volume because I like being in the gym. Depending on how I feel, I add additional exercises. I tried many diets and eating styles including the popular Warrior Diet and intermittent fasting eating schedules. They worked fairly well, but cannot compare to the gains I see now that I eat consistently every 2-3 hours. When I started to see my body change, I was hooked. It's one of the few things in life that I have control over. You get back what you put in. In the gym, other people, especially tall guys, ask me how to put on lean muscle. I used to be skinny and it shows how far I came. That motivates me to push further. It's my therapy and helps me escape from everything. My motivation comes from within. The bodybuilding lifestyle makes me happy. Going to the gym is the best part of my day. You can't live a healthy life without a healthy body. Proving the doubters wrong is just a bonus. I want to look back and know I did more with my life than sit on the couch and drink beer. My biggest source of inspiration is the positive, ambitious people I surround myself with. It's hard not to be inspired when you're surrounded by others who strive for greatness. The successes of others who work hard inspire me to do the same. 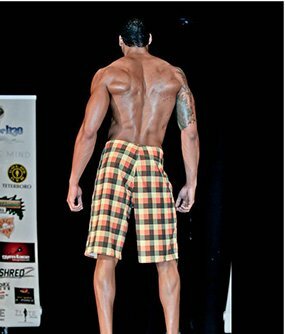 I plan to pack on more muscle and tackle another national competition in an attempt to get my men's physique pro card. 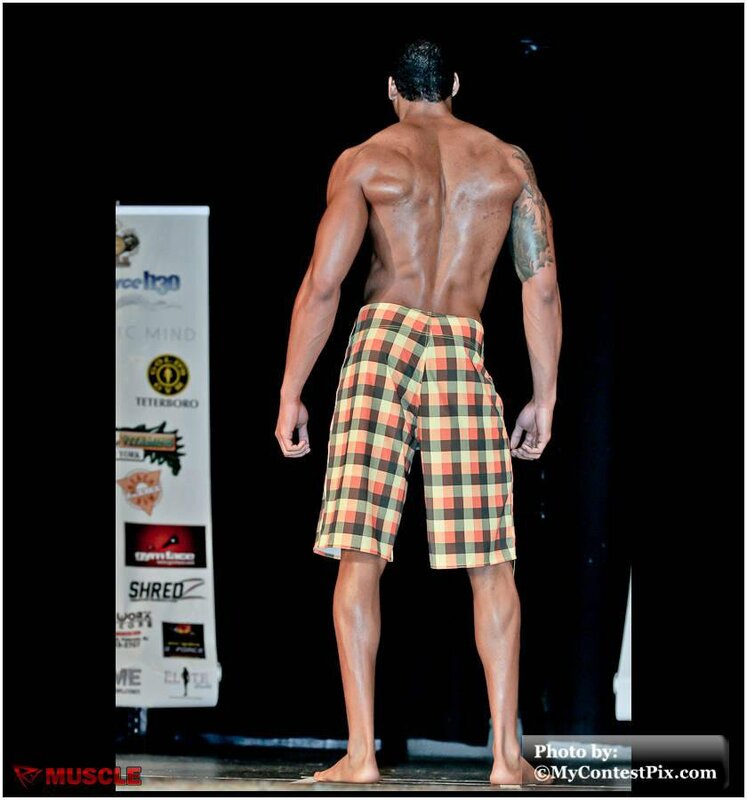 I have great coaches going into 2013 at Bodies by G-Force and I plan to turn some heads at my next show. I want to make a name for myself in the fitness industry, and to do that, I have to be exceptional. Stay consistent. It's all about steady progression. Nothing happens overnight. Never stop learning. Each year, I learn more about what I need to do so I can better myself. I admire the great pro physiques and respect their hard work, but the old school physiques like Bob Paris, Serge, and Arnold have always been a huge source of motivation for me. There was such a great balance there. Bodybuilding.com and BodySpace are great sources of information and motivation. It's a one-stop shop for all my supplement needs. When I first started lifting, I searched BodySpace for people with my height and ideal weight so I had a goal to work toward. I learned from the forums and articles on Bodybuilding.com. No bodybuilding site comes close to what Bodybuilding.com offers.